At least 4,645 people — and perhaps as many as 5,740 — died in Puerto Rico as a result of Hurricane Maria, according to a new study published Tuesday in the New England Journal of Medicine (NEJM). The study’s authors reached their conclusion after surveying 3,299 households — more than 9,500 people — about deaths and causes of death between September 20, 2017 through the end of the year. Through that survey, the authors calculated that 4,645 more people died in the wake of Hurricane Maria than in the same time period the year before. The authors then adjusted the figure based on estimates of the number of people who lived and died alone as a result of the hurricane, giving them the adjusted figure of 5,740. “The timely estimation of the death toll after a natural disaster is critical to defining the scale and severity of the crisis and to targeting interventions for recovery,” the authors wrote. Last October, President Trump used the low official death count to tell Maria victims they should be “proud” compared to the number of people who died in Hurricane Katrina. At least 1,833 people were killed by Katrina. 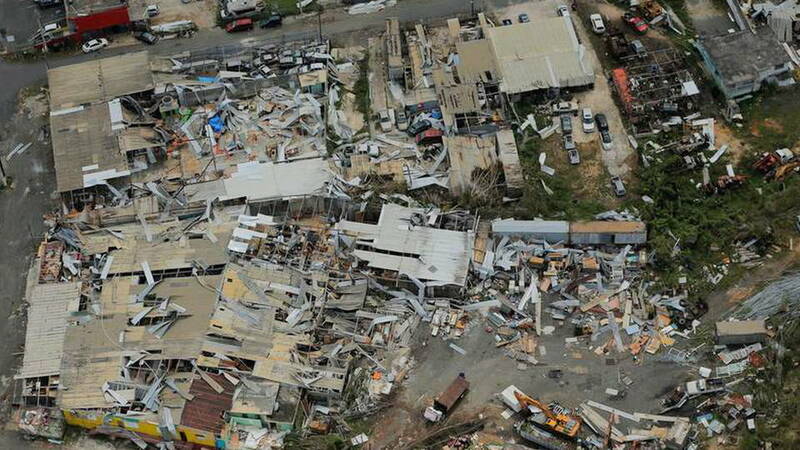 At the time, the number of fatalities in Puerto Rico stood at 16. Tuesday’s survey makes it clear that more than three times as many people died as a result of Hurricane Maria versus Hurricane Katrina, and that the real death toll is more than 70 times the official government count. A Politico investigation from March also revealed the Trump administration favored Texas over Puerto Rico after both suffered devastating storms last year. “These numbers will serve as an important independent comparison to official statistics from death-registry data, which are currently being reevaluated, and underscore the inattention of the U.S. government to the frail infrastructure of Puerto Rico,” the authors of the study published Tuesday wrote. The authors wrote that they found the interruption of medical care was the primary cause of sustained high mortality rates in Puerto Rico following the hurricane. The botched recovery effort has had a devastating effect on the mental health of those living in Puerto Rico, too: reports of suicide attempts on the island more than tripled between November 2017 and January 2018. As recently as last month, some 30,000 people on the island still did not have power post-Maria. The Atlantic Hurricane season officially begins Friday.